New Years Resolutions? Maybe start with something light…. I’ve decided to start by taking inventory of all the projects I have that are only partly finished, and resolving to get them done and off my needles post haste. 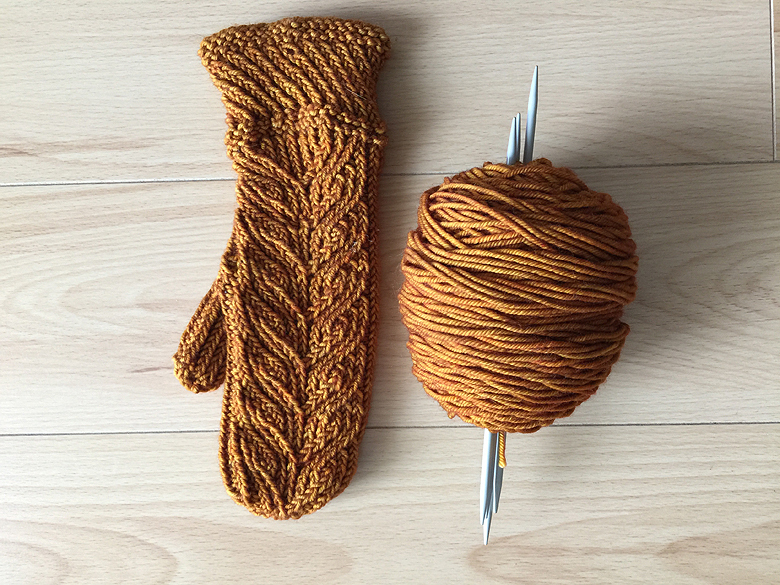 Some of you might think that knitting doesn’t make much of a new years resolution unless you’re some kind of tragic underachiever, but trust me, this is a bigger task than it appears. There are 9 works in progress that need tackling. Not so bad, right? Except that one of them is a sweater. I started this on the drive to Newfoundland, thinking that, with all that road time, I’d whip off half the sweater in one go (pro tip: the words ‘whip’ and ‘sweater’ do not belong together). 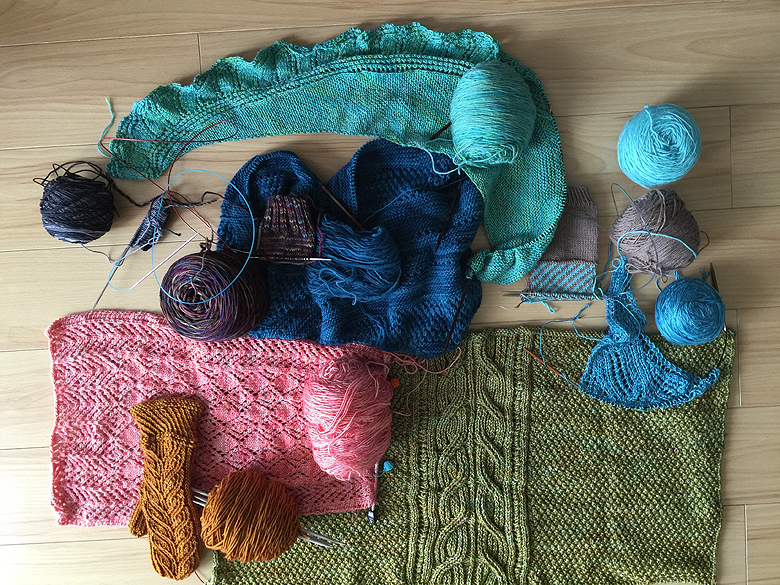 I even fretted over not having brought enough yarn. 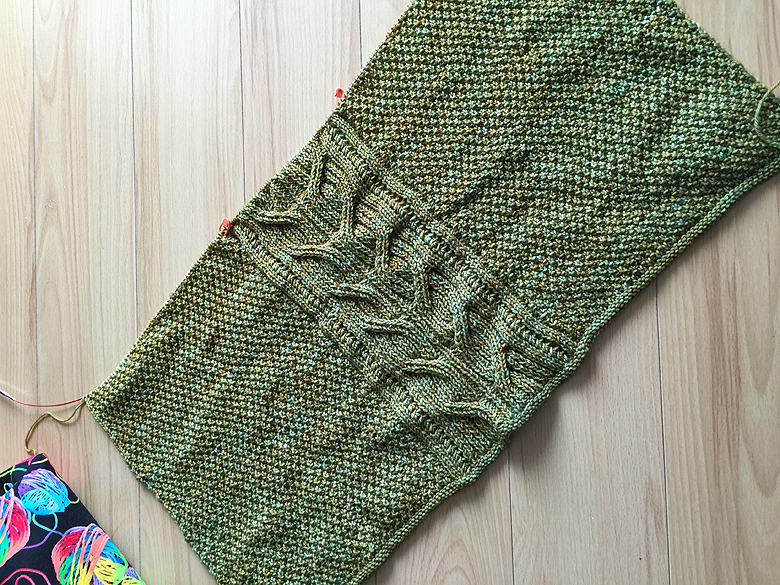 I knit less than half of the front. Yes, this one will take a while. Look at that gorgeous colour. This lovely scarf has sat around for far longer than it should have. 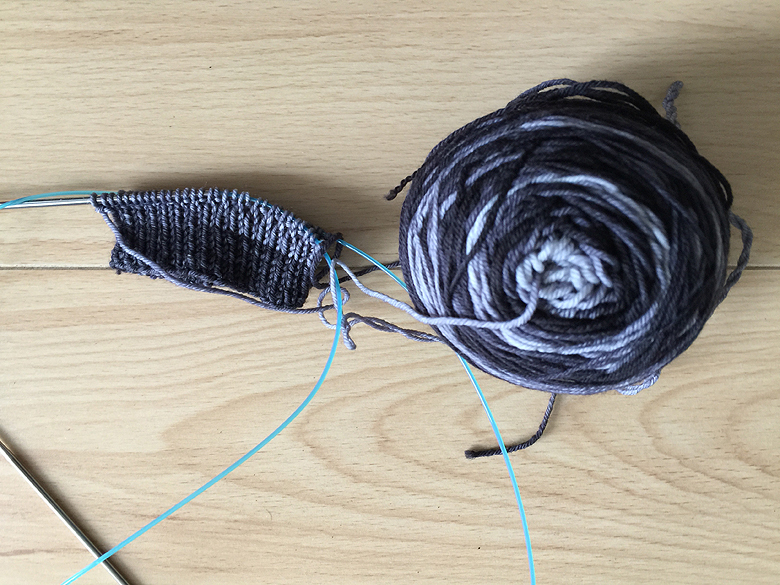 It’s so old, it dates back to a time when I wasn’t as experienced at knitting and found charts a real challenge, so even getting this far in the scarf was hard. 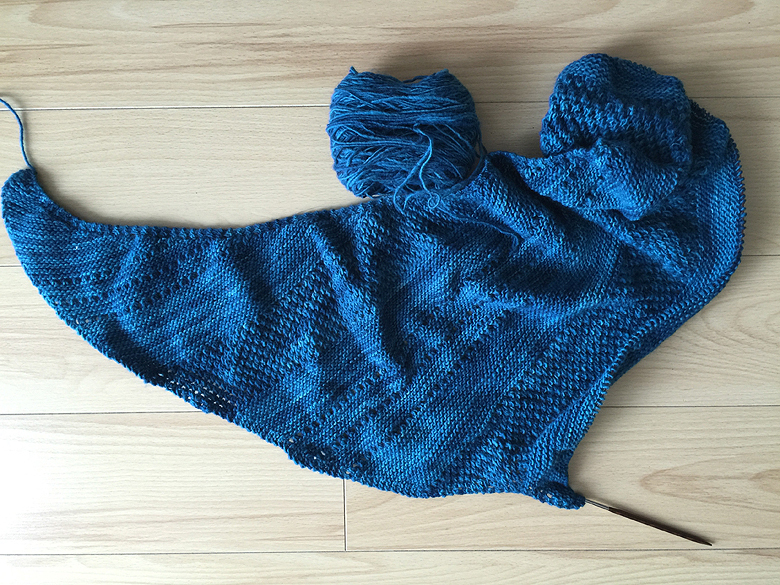 I’m guessing that my current knitting skills should have this baby done by mid-January (key word: guessing). How gorgeous is this mitten? I bought the yarn at the one fiber stop I made in Newfoundland, Cast On, Cast Off. The yarn rocks my world. The pattern rocks my world. Why is there still only one mitt? It’s a mystery. These should get pushed to the front of the list; like debt, pay off the small bills first, right? Besides, it’s winter, and I want them! Here’s another lovely piece that’s been sitting for too long. 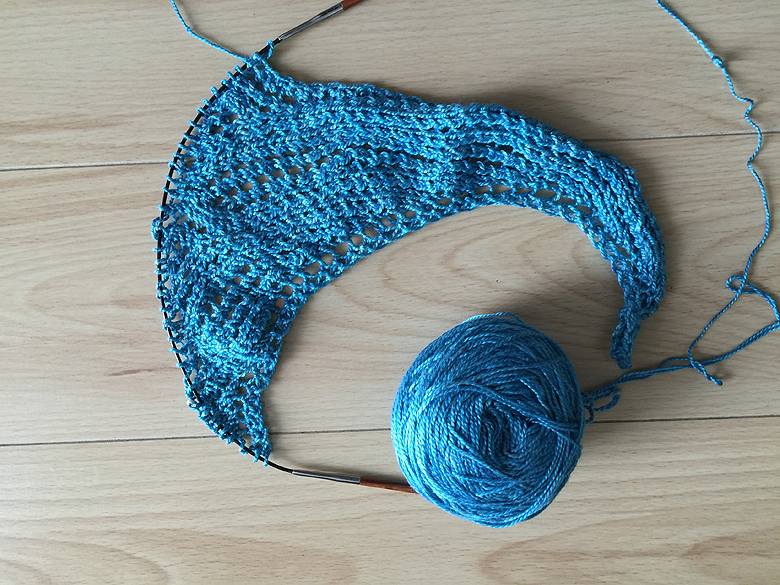 I cast this on in a hotel room in Puerto Rico, thinking that I would get lots of knitting done while on a cruise with my parents and Tito (clearly, I am delusional about how much knitting I get done while on vacation). A tropical colour, a great pattern, but this may sit on the back burner until it’s closer to spring. Sometimes you just need a really simple project to get your mind off all those other projects that you’ve been ignoring, so I guiltily confess that I cast these on today. 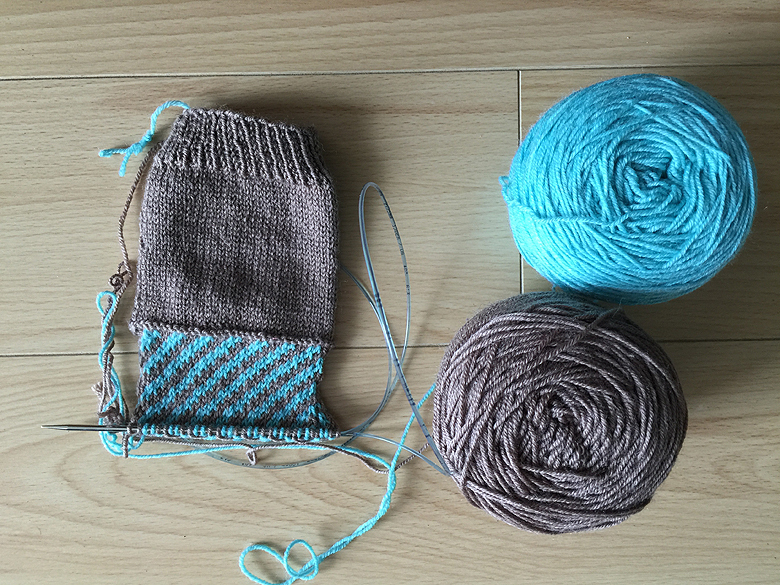 DK weight socks, for myself. 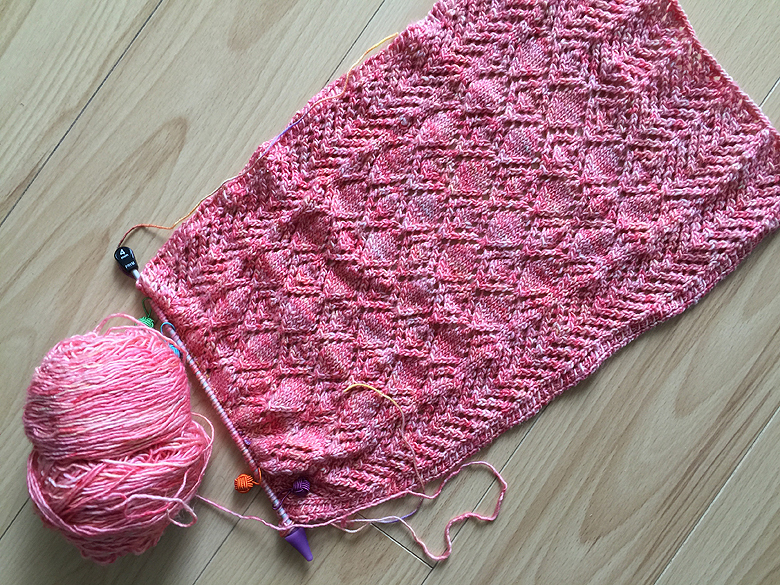 A quick, mindless, gratifying knit in a yarn I can’t get enough of that should be done by next weekend (or might end up on this list, this time next year). August 13th, of 2013, I dyed the yarn for this project and after a short period of angsting with Leslie and Ray about the right pattern for our hand dyes skeins we settled on this. It’s lovely, it’s mostly done, but for some reason it never seems to make it to the top of my pile. February, maybe? This one might be destined for a frogging. It’s a prototype for one of my own designs, but I was pulling the yarn a little too much while working the fair isle, with the result that it’s tight in the colour work section. I think it will be cute, but it’s definitely getting shelved til spring now! This stuff is silky and gorgeous and I have about 750 yards of it. 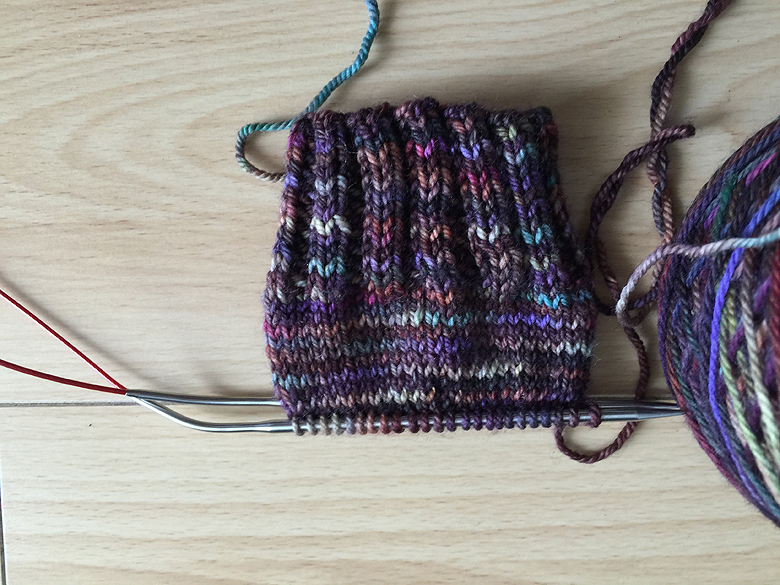 I hoarded it forever, excitedly settled on a project, cast on, and promptly forgot all about it. 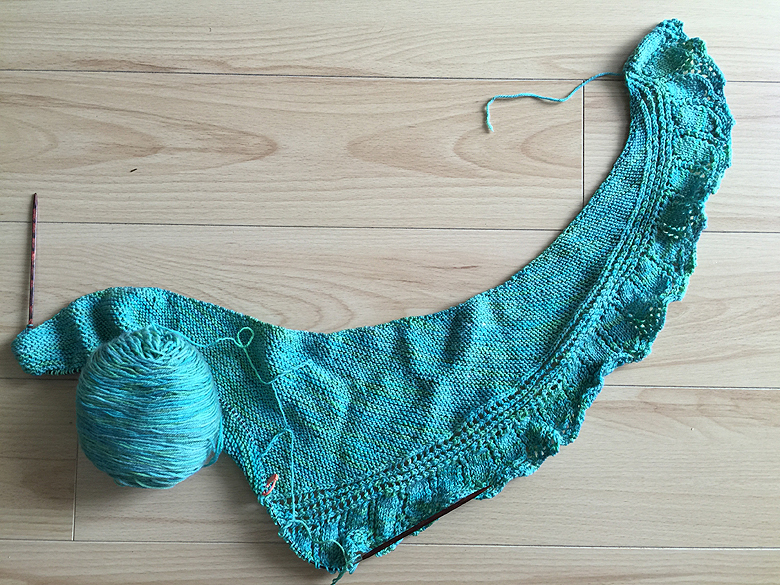 I like to get obsessed with the idea of a gigantic 2-skein shawl for the summer and then fail to have the stick-to-it-ness required to finish the project. Finally, socks for daddy. I love gifting socks because of the look on someone’s face when they pull it on for the first time. This makes it worthwhile to plug thousands of tiny stitches (and, apparently, a repetitive strain injury) into something that will take me at least a month. At least the yarn changes colour, which should help keep me entertained during the long journey ahead. Those are good resolutions. The mitten is lovely! Good resolution, even if you only stick with it for a few projects, it still gets things finished! And even if you fall by the wayside, you can pick them up again later and finish off some more. Don’t forget, you have an entire year for this plan!!! I love getting projects finished that have been laying around for some time. They all look beautiful especially those mittens.